A few years ago I tought preschool to 2-3 year olds. It was so much fun. I loved coming up with sensory art for them and Jello Art was always a favorite. I decided to try it with my girls at home as well. It's super easy (and a little sticky). All you need is a package of jello - any size or flavor - paper and paint brushes and water. 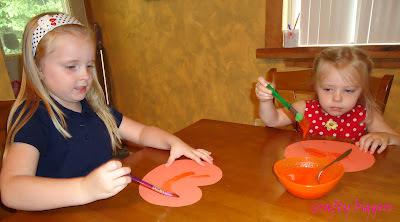 We made pumpkins to decorate the art closet, but because you can't find pumpkin scented Jello, we used orange. To paint with jello you need to make it into a paste. The trick is cold water. 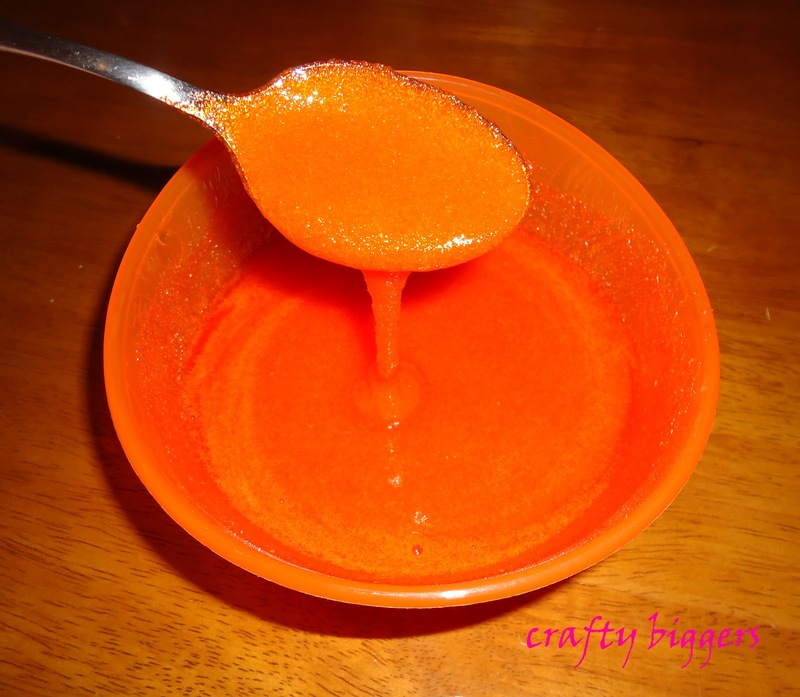 If you mix the Jello powder with hot water it will dissolve and just be liquid. I would suggest either using new paint brushes or running your paint brushed through the dishwasher. 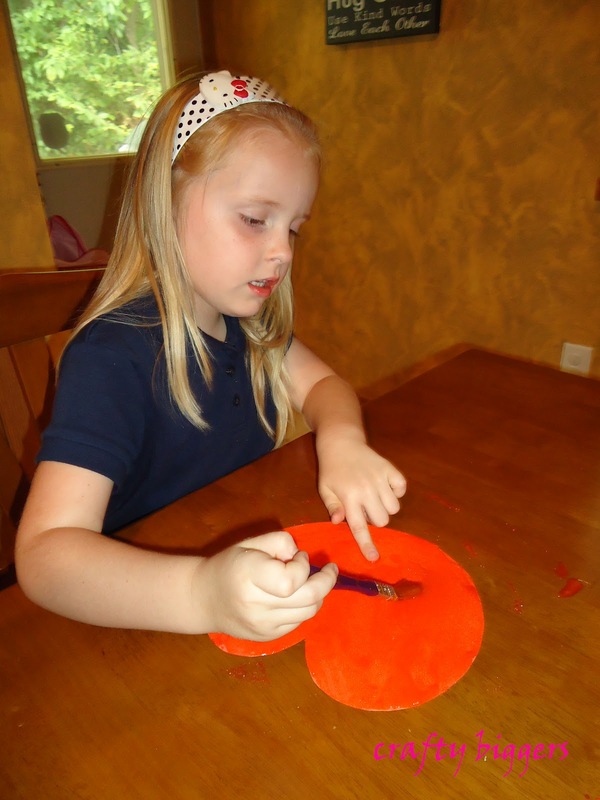 The "paint" will most likely be tested by your little artists. The room smells so good while you are painting and the smell lasts for days/weeks after it is dry. 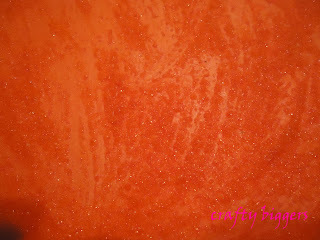 Once it's dry it is a little shimmery and has a sand paper like texture. The sticky is mostly gone when it's dry but the awesome smell is still there. Add the leaf and the stem and you have a cute little pumpkin. Oh this is the cutest idea! 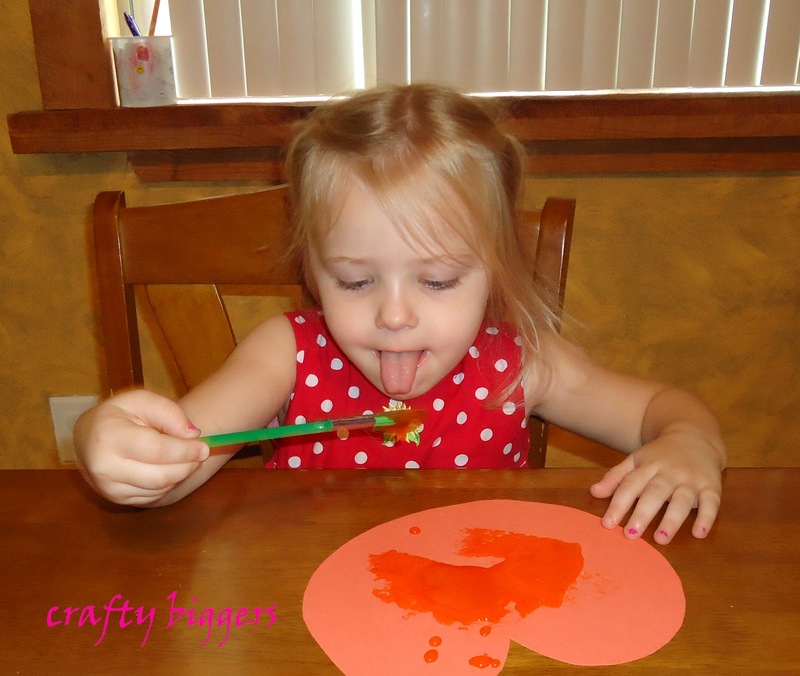 It's so fun- plus you can eat your paint and who doesn't love that?!? I'll have to try this out for sure when I have little ones. Just found your blog and have loved getting to know you better... I'm excited to follow along! 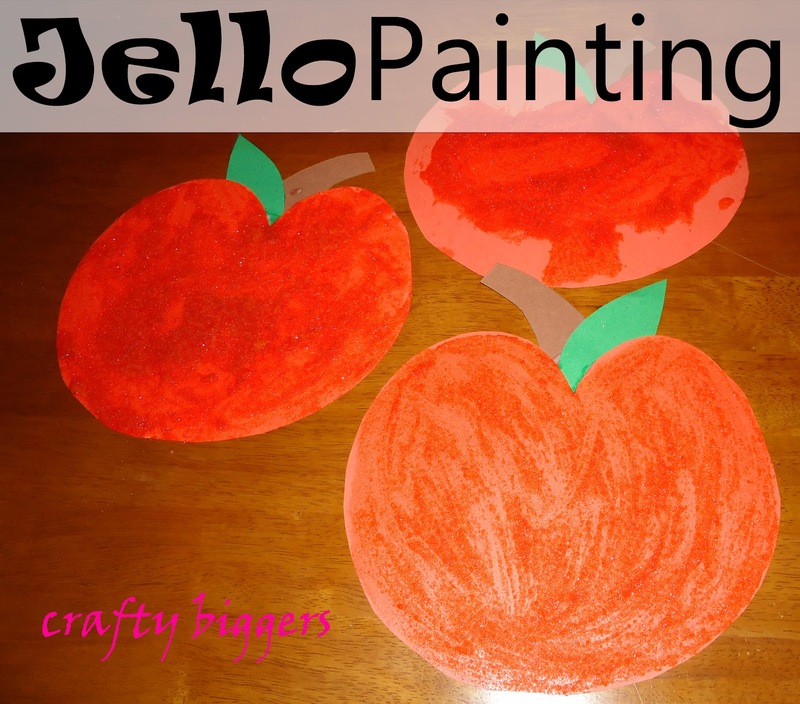 Thanks so much for linking up with Activity Corner with Momma Mar (Raising Bean) and me! 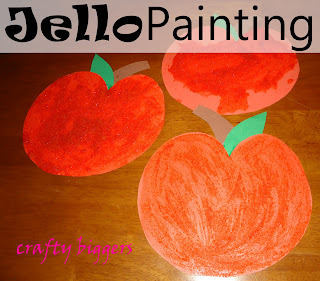 This is such a cute idea - my kids will love it, and at least I won't have to worry about my little one eating the 'paint'! lol!